With the retroperitoneal technique the abdomen is not entered and therefore this approach may be preferable when multiple adhesions from previous intrabdominal operations are expected. 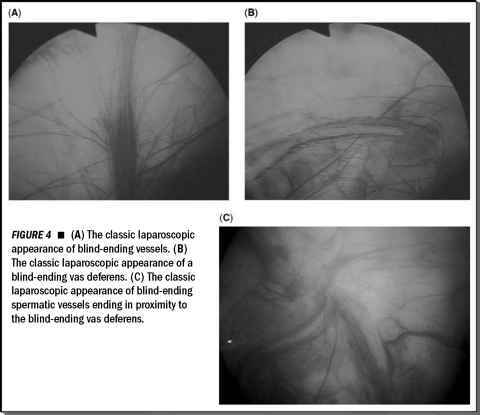 Some authors suggest that using the retroperitoneal access, the ureteropelvic junction may be visualized after a relatively limited dissection, and crossing vessels causing the obstruction better appreciated. On the contrary, the transperi-toneal access approaches the ureteropelvic junction from the wrong (vessel) side of the renal hilum mandating more dissection with the potential for more distortion before the ureteropelvic junction can be visualized. Extraperitoneal laparoscopy is difficult for the inexperienced. Orientation is harder because anatomic landmarks are not as evident as in transperitoneal laparoscopy. In addition, less working space is available, making intracorporeal suturing more challenging. Any previous retroperitoneal surgery makes subsequent retroperitoneal laparoscopic pyeloplasty very difficult and therefore unsuitable for secondary ureteropelvic junction. With increasing experience similar operating times to open pyeloplasty have been achieved with retroperitoneal pyeloplasty (31). Some authors even reported shorter operating times than the transabdominal approach. Open conversion is infrequent and occurs due to problems to create a watertight anastomosis without tension. Short hospital stay (32), low analgesic requirements, and fast recovery confirm the advantages of laparoscopy also with the retroperitoneal approach. Low morbidity with similar complication rates is seen as well (10). Success rates of retroperitoneal laparoscopic pyeloplasty are comparable to its transabdominal counterpart (11,33). However long-term outcomes must be assessed for further validation of this approach. In fact, in the only direct comparison of the retroperi-toneal approach to the open procedure by Soulie et al. (31) the only advantage reported was a more rapid return to normal activity, particularly in young patients (Table 3). Abbreviations: AH,Anderson-Hynes; FU, follow-up; OR, operating room, HS, hospital stay.